The focus in Psalm 149 is on God’s redemptive faithfulness in the covenant of grace. So Psalm 149 is a “new song,” (v. 1), like the new song of salvation we see in Psalm 98: “Oh sing to the Lord a new song, for he has done marvelous things! His right hand and his holy arm have worked salvation for him. The Lord has made known his salvation; he has revealed his righteousness in the sight of the nations. He has remembered his steadfast love and faithfulness to the house of Israel,” (vv. 1-3a). After the crisis of Book Three, the king and people in Book Four looked for comfort to God’s faithfulness, especially as displayed in creation and in the covenant. Because Psalm 148 already made extensive reference to God’s faithfulness in creation, that theme is touched on more briefly in Psalm 149: “Let Israel be glad in his Maker,” (v. 2). 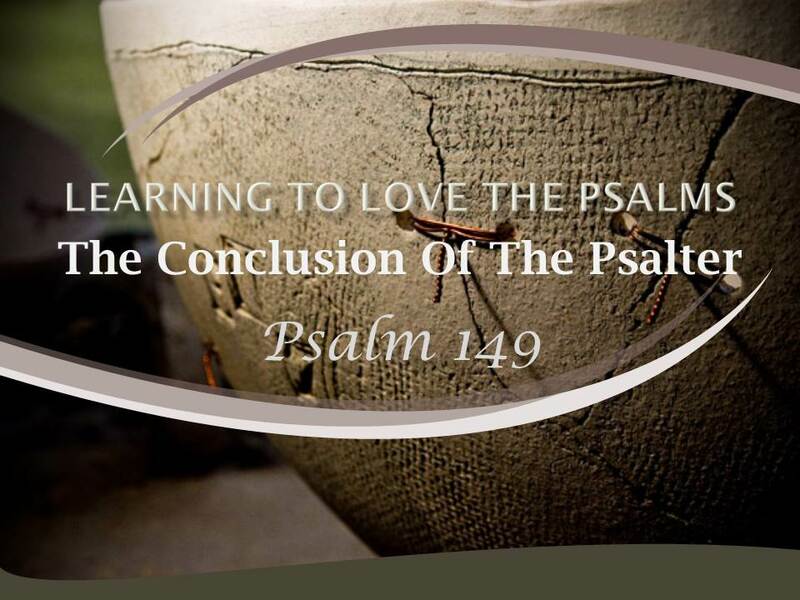 Psalm 149 develops much more the theme of God’s faithfulness to his covenant people. Whereas Book Three had shown how the Godly were defeated by the wicked for their failure to keep covenant, Psalm 149 comforts God’s people with the picture of the victory of the Godly over their enemies through the covenant mercies of God. This psalm of praise answers the prayer that ends Book Four: “Save us, O Lord, our God, and gather us from among the nations, that we may give thanks to your holy name and glory in your praise,” (Psalm 106:47). In Psalm 149, God’s redemptive covenant is praised in a variety of places and in a variety of ways. God is praised with the new song in the assembly of the Godly in official worship, (v. 1). He is also praised in the dancing that accompanies military victory, (v. 3), and in the private devotion of the individual believers on their beds, (v. 5). We should pause to reflect particularly on the call to praise the Lord with dancing, (v. 3). This command has often been misunderstood and misused. The tambourine and lyre, linked in this verse to dancing, were instruments of rejoicing for Israel, especially in contrast to mourning. The same is true of dancing in general. “You have turned for me my mourning into dancing,” (Psalm 30:11). There is “a time to mourn, and a time to dance,” (Ecclesiastes 3:4). “Again I will build you, and you shall be built, O virgin Israel! Again you shall adorn yourself with tambourines and shall go forth in the dance of the merrymakers,” (Jeremiah 31:4). Dancing was an expression of joy. Dancing seemed in particular to be part of the celebrations of harvest, (Judges 21:21). Very importantly, the dancing of women seemed also to be a regular part of the celebrations of military victories for Israel. Miriam led the women of Israel to celebrate the defeat of Pharaoh’s army with tambourine and dancing, (Exodus 15:20). Women danced in joy for Saul’s and David’s victories, (1 Samuel 18:6; 21:11; 29:5). Israel praised the Lord in dance for his faithfulness in giving military success. Did Israel dance also as part of the official worship of the Lord? Many answer this question in the affirmative and cite David’s dancing before the ark “with all his might” as the ark was being taken up to Jerusalem, (2 Samuel 6:14). But if we look closely at this incident, we see that in fact this dancing was part of the military celebration of Israel’s victory in the conquest of Jerusalem. This interpretation is supported by the report that David danced naked before the ark, (2 Samuel 6:20). Almost certainly, this nakedness denotes David’s stripping himself of his royal insignia, not of all his clothing. He humbled himself before the Lord. In this military procession, he did not take the role of the conquering hero but assumed the role of the women as they celebrated the victory of Israel’s true hero, their God. (David’s wife, Michal, criticized him for what she saw as an excess of humility, (2 Samuel 6:20-22). In her mind, her father, Saul, had known how to act like a king.) The only time in the Bible that Israel danced as part of its formal worship was when the people danced around the idol of the golden calf, (Exodus 32:19). Dancing was not part of Israel’s worship but was an expression of joy at other times in Israel’s life. See now that I, even I, am he, and there is no God beside me; I kill and I make alive; I wound and I heal; and there is none that can deliver out of my hand. For I lift up my hand to Heaven and swear. As I live forever, if I sharpen my flashing sword and my hand takes hold on judgment, I will take vengeance on my adversaries and will repay those who hate me. I will make my arrows drunk with blood, and my sword shall devour flesh – with the blood, and my sword shall devour flesh – with the blood of the slain and the captives, from the long-haired heads of the enemy. Rejoice with him, O heavens; bow down to him, all gods, for he avenges the blood of his children and takes vengeance on his adversaries. He repays those who hate him and cleanses his people’s land. God works through his people to accomplish his victory over his unrepentant enemies. The language of victory and conquest is taken up in the New Testament to describe the fruit of the work of Christ. Paul wrote of Christ: “He disarmed the rulers and authorities and put them to open shame, by triumphing over them in him,” (Colossians 2:15). Paul also assured Christians: “But thanks be to God, who in Christ always leads us in triumphal procession, and through us spread the fragrance of the knowledge of him everywhere. For we are the aroma of Christ to God among those who are being saved and among those who are perishing, to one a fragrance from death-to-death, to the other a fragrance from life-to-life,” (2 Corinthians 2:14-16). The New Testament also uses the language of battle in many places to describe the service of Christians for their king, Jesus. But now the battle is spiritual, not physical. Paul writes: “As servants of God we commend ourselves by truthful speech, and the power of God; with the weapons of righteousness for the right hand and for the left,” (2 Corinthians 6:4, 7). He elaborates on this warfare: “For though we walk in the flesh we are not waging war according to the flesh. For the weapons of our warfare are not of the flesh but have divine power to destroy strongholds. We destroy arguments and every lofty opinion raised against the knowledge of God, and take every thought captive to obey Christ,” (2 Corinthians 10:3-5). The Christian must be armed for the battle: “Take the helmet of salvation, and the sword of the Spirit, which is the word of God,” (Ephesians 6:17). Psalm 149 does comfort the people of God and call them to praise because of the great faithfulness of their God. Today we sing it not as a call to physical combat but as a commission to serve God with the weapons of his Spirit, confident of victory as God in Christ accomplishes his purposes in the world. How is God’s redemptive covenant praised in a variety of places and in a variety of ways in Psalm 149? How is the command to praise the Lord with dancing often misunderstood and misused? What did the dancing women of Israel signify? Did Israel dance as part of the official worship of the Lord? In what other ways and circumstances did the Godly celebrate God in Psalm 149? How is the language of victory and conquest taken up in the New Testament to describe the fruit of the work of Christ? How does the New Testament also use the language of battle to describe the service of Christians for their king, Jesus? 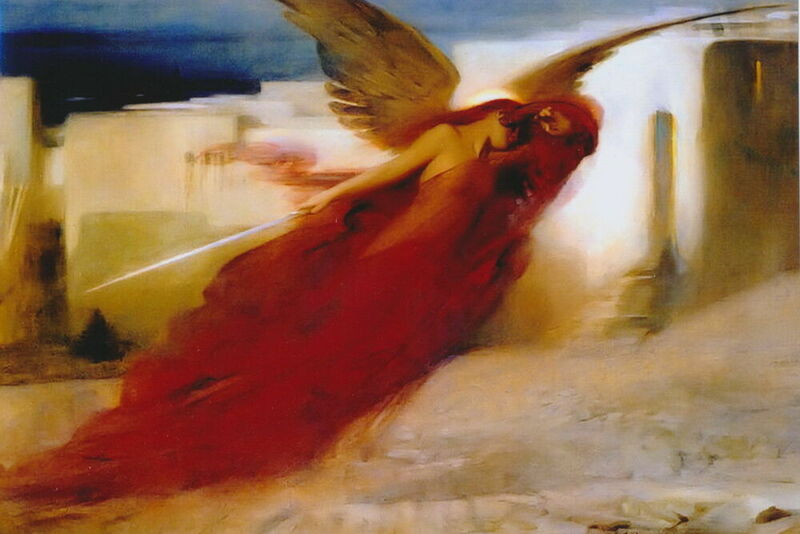 Why is the battle now spiritual rather than physical?